Back in the mid-1970s, the United States found itself in the middle of a global energy crisis with substantial petroleum shortages and skyrocketing fuel prices. In response, the 1974 Honda Civic was launched with an emissions-reducing CVCC engine and immediately became popular with buyers looking to stretch their fuel budget. Since then, Honda engineers have worked tirelessly to maximize fuel efficiency across the entire model lineup. Today’s Honda lineup offers buyers several choices of fuel-efficient vehicles, from hydrogen-powered to fully-electric and hybrid variants. In fact, Honda has announced a global benchmark goal for two-thirds of all sales to come from electrified models by 2030. 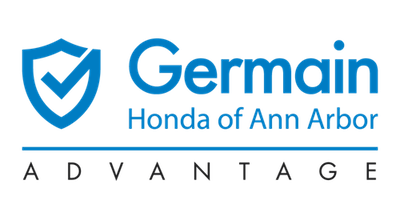 If you’ve been curious about the benefits which come from driving a hybrid or electric vehicle, Germain Honda of Ann Arbor has created this useful guide which takes an in-depth look at three of the most popular Honda hybrids — the Accord Hybrid, Clarity Plug-In Hybrid, and Insight. A familiar face among the Honda hybrid vehicle lineup, the Honda Accord Hybrid is powered by the third generation of Honda’s innovative two-motor hybrid powertrain. It features a 2.0-liter DOHC i-VTEC® Atkinson-cycle 4-cylinder engine paired to an electric propulsion motor which combine to produce a total system output of 212 horsepower and 232 lb-ft of torque. Drivers will experience an unrivaled combination of efficiency and proven performance thanks to a combined 48 MPG rating2 for the Accord Hybrid. You no longer have to make sacrifices on space, power, or capability in your hybrid vehicle when you drive a Honda Accord Hybrid. Enjoy class-leading power3, cabin space, and cargo capacity with the Accord Hybrid. A total of four trim levels are available on the Accord Hybrid: Hybrid, EX, EX-L, and Touring. All-electric daily driver – With the class-leading5 47-mile all-electric range rating6, many daily trips can be accomplished using only battery power. Gas for distance – For longer trips, when the electric battery runs out the gas-powered engine takes over to provide additional driving range, giving the Clarity Plug-In Hybrid a 340-mile combined gas and electric range rating6. Hassle-free charging – Plug in to electric outlets at home, work, or at any of the thousands of electric charging stations located across the nation. Proving the benefits of an electric in addition to the flexibility of a hybrid, the Honda Clarity Plug-In Hybrid gives drivers more possibilities than ever before. A high-capacity battery delivers impressive range for longer all-electric commutes. Just like a traditional hybrid, the Clarity Hybrid also features a gas-powered engine for backup when electricity runs low. Charge up and drive using electricity, or rap into is engine for extended road trips — all while spending less time and money at the gas station. Both drivers and passengers alike will appreciate its roomy interior with seating for up to five along with eco-conscious materials for a premium feel. Charge up in the comfort of your own home with a standard 120-volt outlet or even quicker with a 240-volt charger. The Clarity Plug-In Hybrid can also take advantage of thousands of public charging stations scattered across the country. Owners could also be eligible for state-level tax benefits including charger rebates and HOV lane eligibility4. Offering a departure from the polarizing styling found on most hybrid cars on the market, the Honda Insight delivers a sleek yet dynamic design. With up to 55 city MPG2, driving a hybrid no longer means sacrificing on good looks. It’s positioned as a premium compact sedan above the Civic in the Honda lineup, providing you with class-leading passenger space, power, and fuel efficiency. Choose from a total of three trim levels on the Honda Insight — LX, EX, and Touring. Back in 1999, the Honda Insight debuted as America’s first hybrid vehicle. Fast forward 20 years later, Honda continues to make history with the Insight by giving drivers an entirely new option when shopping for an affordable yet stylish hybrid vehicle. Is there a warranty on Honda lithium-ion batteries? These batteries are covered by an 8-year/100,000-mile or 10-year/150,000-mile limited warranty, depending on the state of purchase. What is the warranty on replacement Honda 12-volt batteries? Replacement 12-volt batteries are covered for a 100-month (8 years and 4 months) prorated limited warranty7. At the end of its lifespan, what happens to a Honda lithium-ion battery? It’s harvested for components and metals in order to recycle as much material as possible for later use. This is part of Honda’s Blue Skies for Our Children initiative along with our longstanding commitment to protecting our environment. No matter which Honda hybrid vehicle you select, you can experience numerous benefits which make each drive much more rewarding. Although it probably seems obvious, a well-known advantage of driving a hybrid is the ability to spend less time and money at the pump. Since these vehicles use less fuel, primarily around town and in the city, you can expect to receive noticeable savings compared to driving a traditional gasoline-powered vehicle. It won’t only be your wallet that will appreciate the benefits of driving a hybrid. Since they don’t produce nearly as many carbon emissions as a gasoline-only vehicle, hybrids help our environment. With the rapidly expanding popularity of hybrids in recent years, you can help do your part in improving the quality of the air around us. Buyers across the country continue to make the switch to hybrid vehicles. As a result, hybrid models often command a higher resale value as compared to a conventional model — potentially resulting in a much more rewarding ownership experience. 1MSRP includes $895.00 destination charge but excludes tax, license, registration, and options. Dealers set own prices. 2Accord Hybrid – 48 city/48 highway/48 combined mpg rating. Based on 2019 EPA mileage ratings. Use for comparison purposes only. Your mileage will vary depending on driving conditions, how you drive and maintain your vehicle, battery-pack age/condition and other factors. Clarity Plug-In Hybrid – 110 combined miles per gallon of gasoline-equivalent (MPGe) electric rating; 44 city/40 highway/42 combined MPG gasoline only rating. 47-mile maximum EV mode driving range rating. 340-mile combined gas-electric driving range rating. Ratings determined by EPA. Use for comparison purposes only. Your MPGe/MPG and driving range will vary depending on driving conditions, how you drive and maintain your vehicle, battery-pack age/condition and other factors. Insight – 55 city/49 highway/52 combined mpg rating for LX and EX trims. 51 city/45 highway/48 combined mpg rating for the Touring trim. Based on 2019 EPA mileage ratings. Use for comparison purposes only. Your mileage will vary depending on driving conditions, how you drive and maintain your vehicle, battery-pack age/condition and other factors. 3Based on manufacturers’ data comparing non-luxury midsize sedan class at time of launch. 4State rebates and eligibility for HOV access and special parking depend on your state and local rules. State and local rules may change in the future to limit rebates and/or eligibility. For California residents, the High Occupancy Vehicle (HOV) sticker can be applied for through the California Department of Motor Vehicles. Once installed, you may use designated HOV lanes, even if you’re driving alone. Stickers valid through January 1, 2019. 5Class based on non‑luxury midsize plug‑in hybrid sedan. 647-mile maximum EV mode driving range rating. 340-mile combined gas-electric driving range rating. Ratings determined by EPA. Use for comparison purposes only. Your driving range will vary depending on driving conditions, how you drive and maintain your vehicle, battery-pack age/condition and other factors.